This weekend over 100,000+ music fans will head to Atlanta for the first ever stateside TomorrowWorld music festival – following in the footsteps of its world-renowned European predecessor, Tomorrowland. TomorrowWorld is the first European turned American festival ever. This marks the beginning of what is likely to be one of the biggest annual EDM festivals in the world and instantly satisfies the hunger of music fans that can’t wait until Ultra next March 28-30 in Miami. 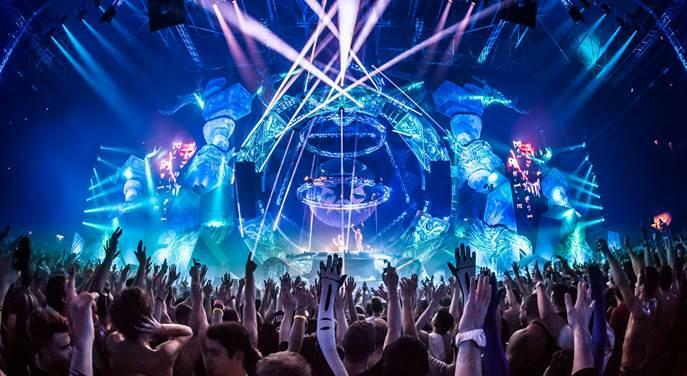 EDM/House music is one the fastest growing and most popular forms of music today. Just try and watch the video above without getting excited and pumped up. You can’t! Headliners include Tiesto, Afrojack, Steve Aoki, David Guetta, Calvin Harris, Armin Van Buuren and more. 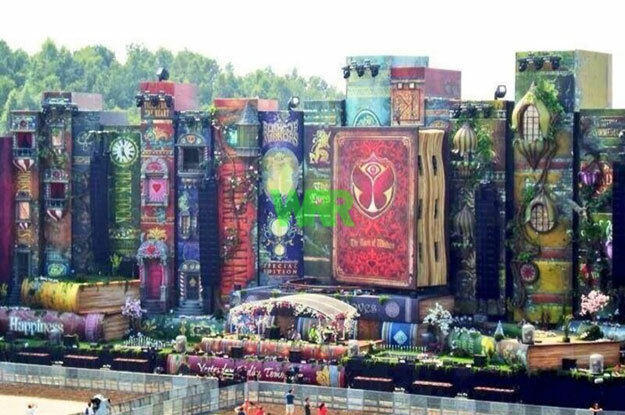 In addition to the music, TomorrowWorld is known for it’s over the top stage design and production (see above and below). Some tickets are still available from the TomorrowWorld website, so click here to buy. Please email your TomorrowWorld pics and videos to entertainmentslap@gmail.com . Electronic dance music (also known as EDM, dance music, club music, or simply dance) is a set of percussive electronic music genres produced primarily for environments centered in dance-based entertainment, such as nightclub settings.